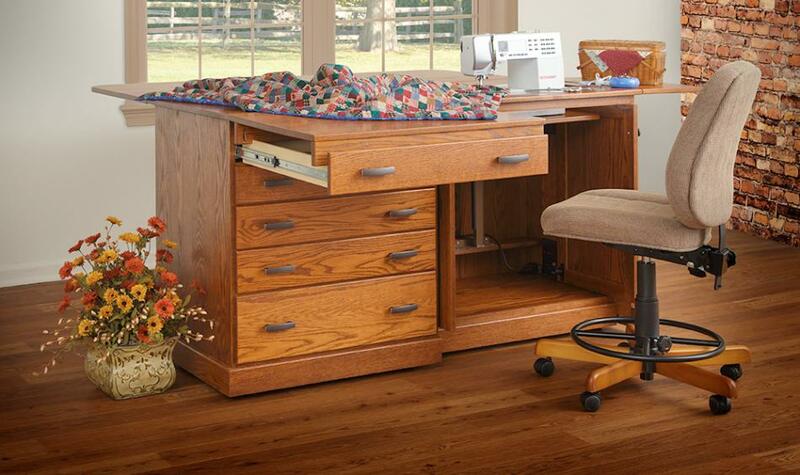 With its spacious work area, the Quilter’s Delight II (Model 225) hardwood sewing cabinet caters to the quilter. 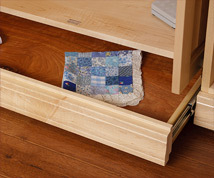 The table extension, an extra 22 ½” piece out the front, supports the quilt you are preparing to sew. 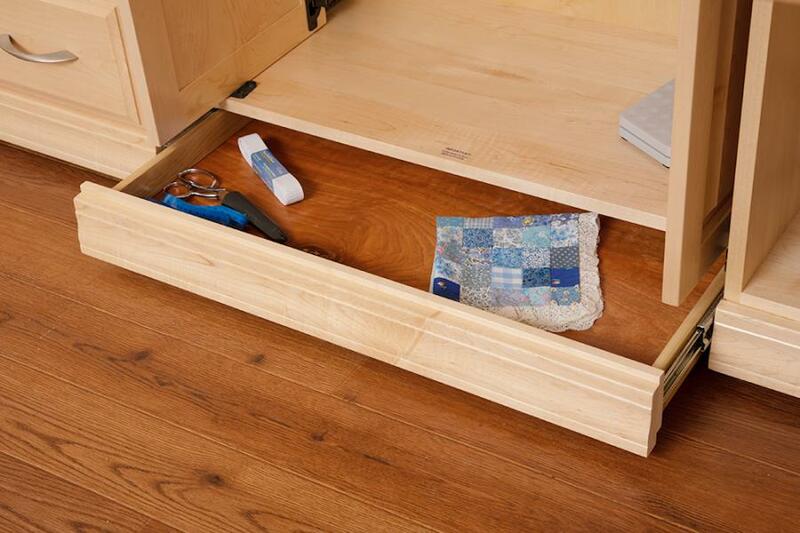 This front piece is made to fit on top of the drawer when in use. Store the extension in a closet when done sewing for the day. Another 18-20” deep wing out the back gives you a place to go with the part of the quilt that you already sewed. 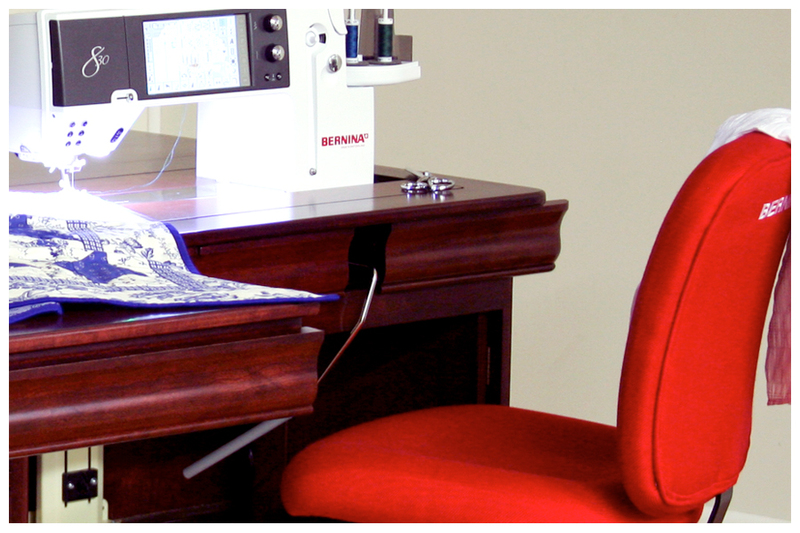 The Quilter’s Delight II has a 25” insert hole that allows for sewing machines up to 24” long. 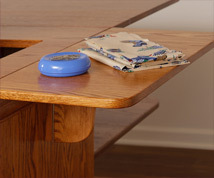 If your machine needs a custom insert, we will be happy to do that for you. 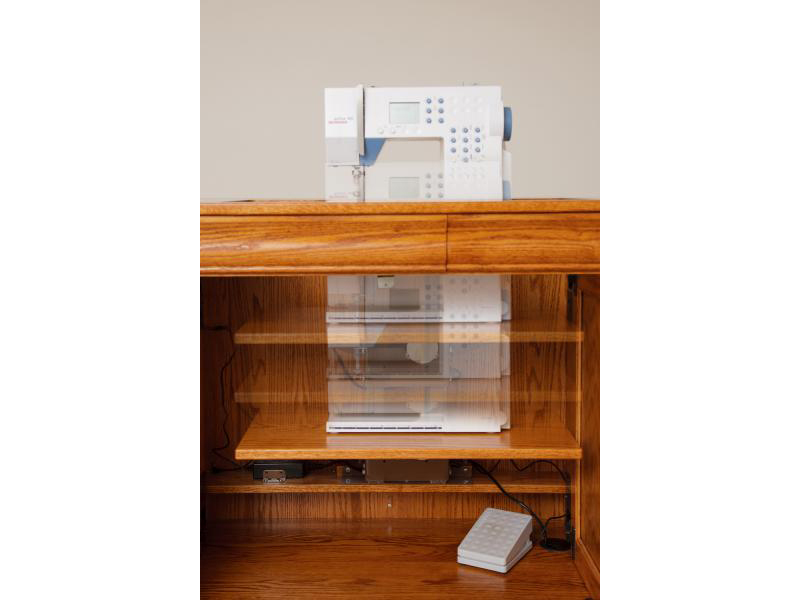 This cabinet has a roomy knee area, giving you plenty of room for operating a foot pedal. 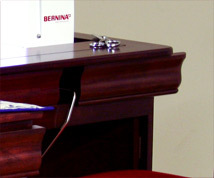 Does your sewing machine have a knee control? We can build the cabinet to accommodate it. Depending on the style, we use the top right pullout to install the knee bar. We install a 3-position, heavy-duty airlift for your convenience. This built-in lift mechanism allows you to adjust your machine to the exact level you need. Ready to put your machine away for the day? Push the button and watch it disappear. 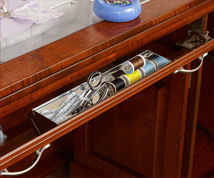 The sewing cabinet comes with hidden casters so that you can easily push the cabinet out of the way when you are finished for the day. 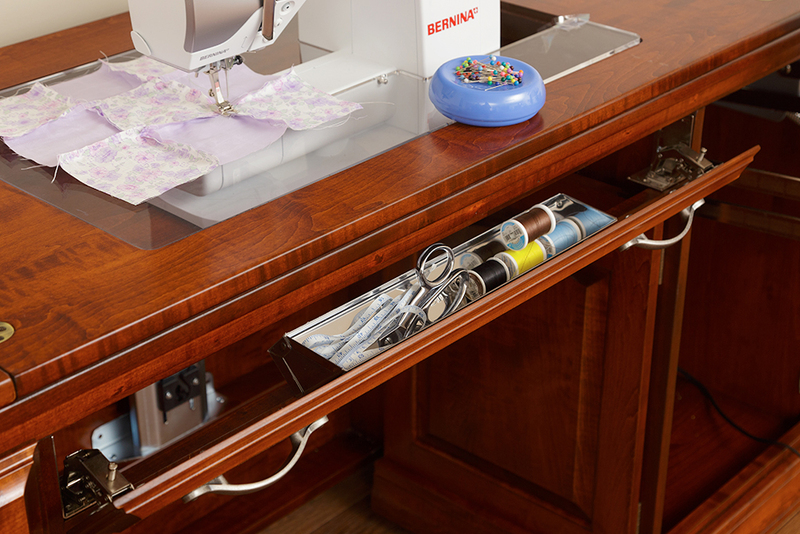 The Quilter’s Delight II has wide drawers for organizing all those sewing notions a seamstress needs. 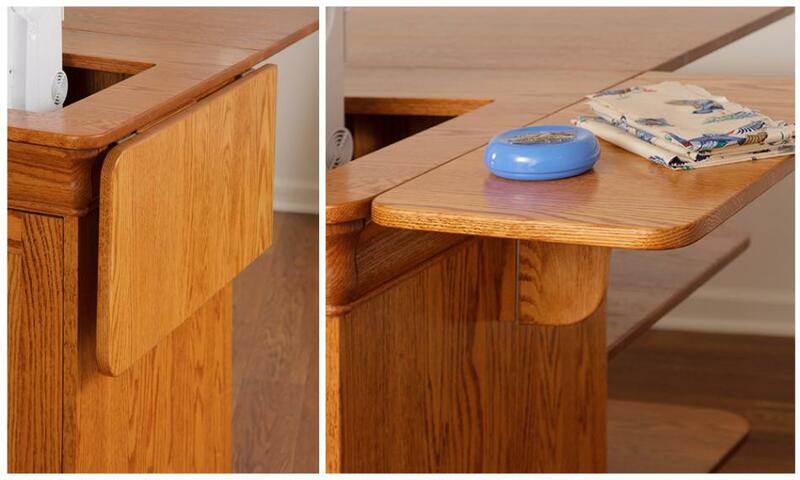 The drawers are 21 3/8” wide by 18 ¼” long. 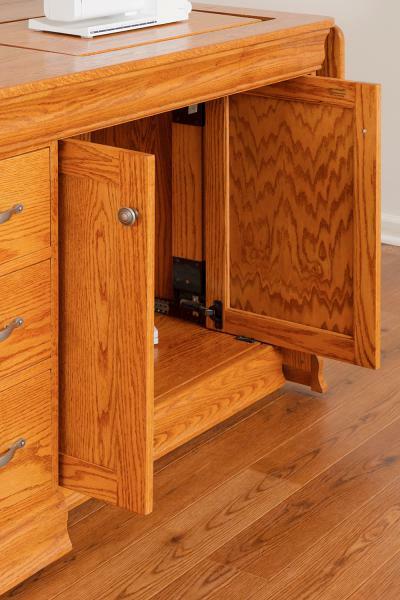 The top drawer is 3” deep, the two middle drawers are 4 ¼” deep, and the bottom drawer is 6” deep. 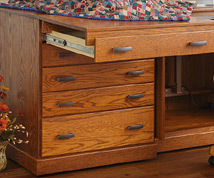 These drawer sizes are the same as the Sewing Center III. 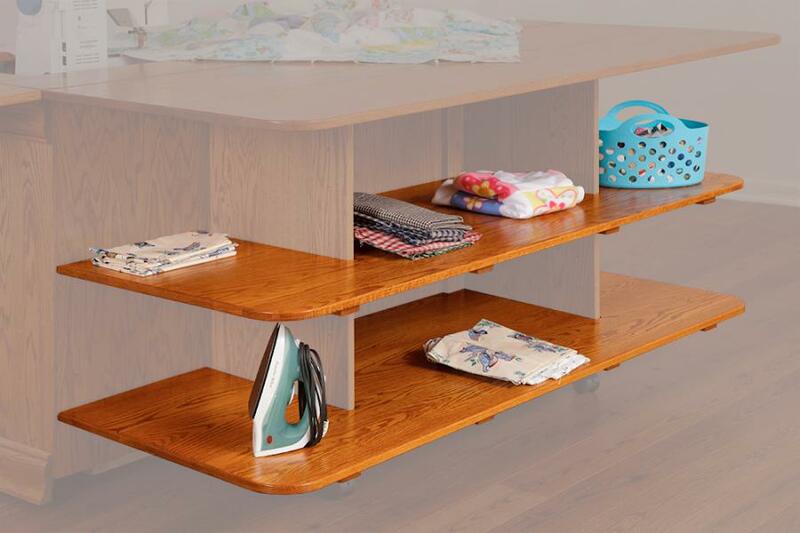 The additional height option raises the cabinet to 33 ½” or 35”. This makes the rear wing a convenient place to use your rotary pad and cutter without getting a backache from bending over too far. 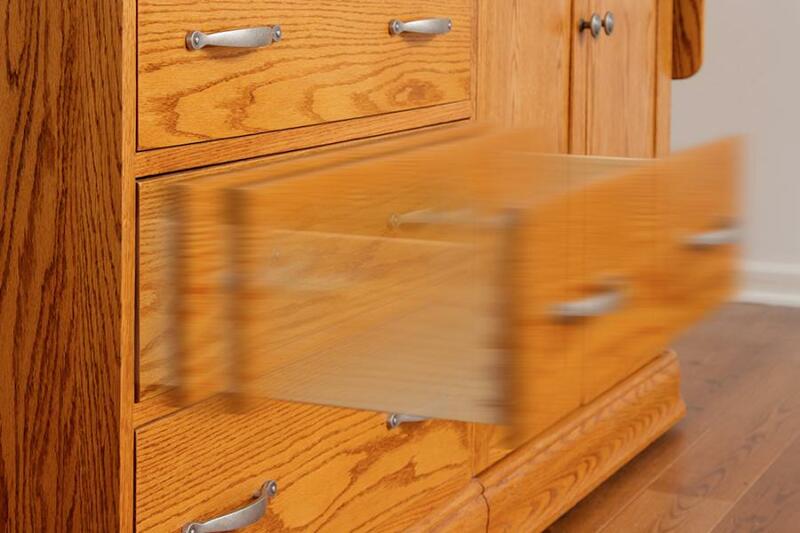 When ordering the additional height option, the drawers are deeper than the standard height cabinet. The Gristmill Collection cares about detail. 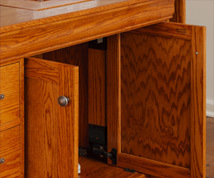 From our raised panel doors to dovetail drawers, we build beautiful and functional solid wood sewing cabinets. 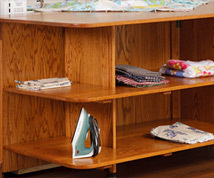 We offer sewing cabinets in the Traditional, Shaker, and Le Chateau styles. • Dimensions – W 60 in. x D 23.25 in. (45 in. open) x H 30.5 in. • Ask us about customization features. Quilters Delight II in cherry with custom Fireside stain in Le Chateau style. Optional right side wing, pocket doors, back shelf kit, and additional 33.5" height.